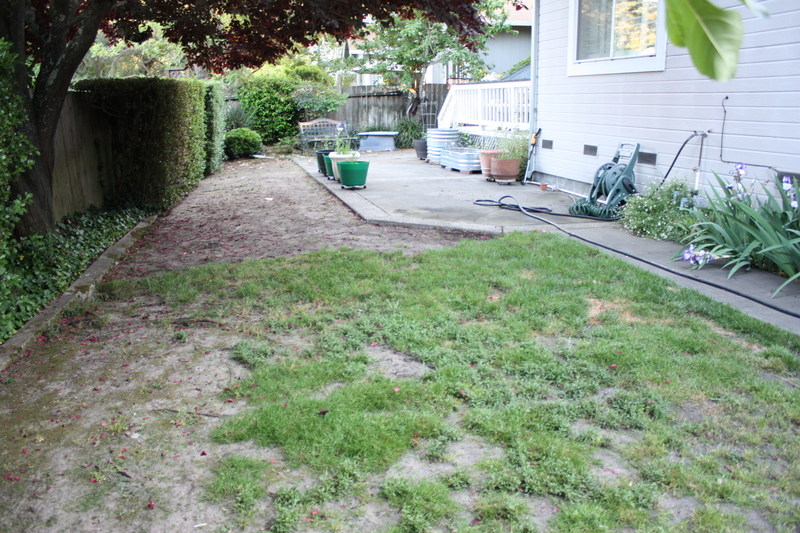 This summer our backyard underwent a transformation. Truthfully, it was long overdue. My husband and I bought our home in 1997 when our daughter was two and I was newly pregnant with our son. The rear of the property had a long, narrow yard with a respectable strip of grass that backed up to a creek. The cul-de-sac was built on old orchard property, and to our delight several of the resident fruit trees had survived the construction. It was the kind of place where we could picture our children growing up–and grow they did. It wasn’t long before the backyard became a playground, complete with a trampoline that dominated one end of the lawn, and a yellow lab puppy that unceremoniously left her mark wherever she went. As we had envisioned, it was a joyful place where kids bounced and friends gathered for BBQs. Then, seemingly overnight, our kids outgrew the world contained in our backyard. Hours once spent on the trampoline gave way to the allure of IPods, IPhones, computers and later, a driver’s license. As they grew, so did our commitments to sports and extra-curricular activities galore. Gradually, we started spending less and less time in the yard. Wear and tear had taken its toll through the years. 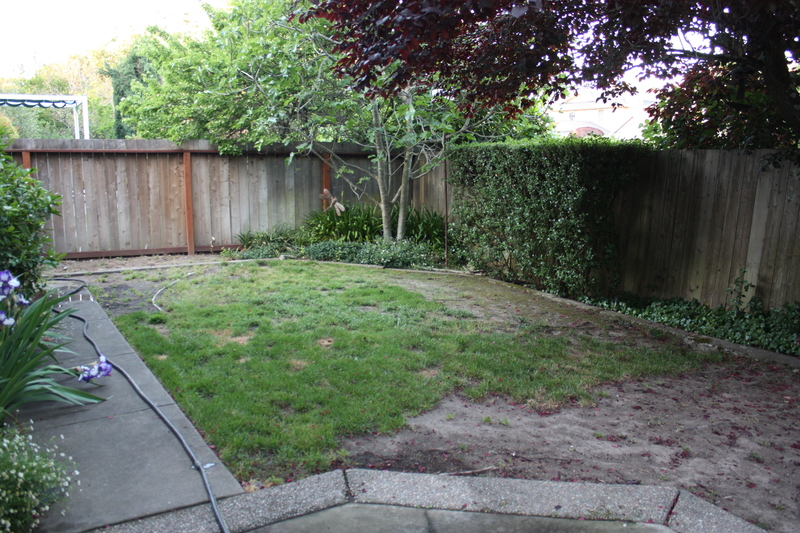 The lawn under the now neglected trampoline was dead, and what remained of the original grass had certainly seen better days. It was time for an overhaul. I had dreamed of refurbishing the space with large garden planter boxes for flowers and vegetables, water-saving pea gravel instead of grass, and a cozy seating area with a fire pit where family and friends could hang out and roast marshmallows. Armed with my vision, I dismantled the trampoline and began digging up the lawn in fits and spurts. Though I was making progress, it quickly became clear I had bitten off more than I could chew by myself. I lobbied my family to join in the effort, but no one seemed inclined to help. Without recruits, the project slowed and then ground to a halt–and the yard became yet another unfinished item on my to-do list. One afternoon, while visiting my dear friend Penny, the subject of the abandoned yard project came up in conversation. She listened sympathetically as I bemoaned the deteriorated state of our rear landscaping, and then offered a brilliant solution: how about a weekend work party? How lucky was I to have a friend willing to volunteer part of her weekend to beautify my yard! Needless to say, I took her up on her generous offer. Stay tuned next week to see how we completed the transformation and breathed new life into this space! I didn’t get invited to the weekend work party!!! Yes, great to have friends that are willing to help. I will be very interested in finding out what becomes of your backyard! Looking forward to the After!